Synopsis: Outnumbered, outsmarted and desperate, the hunters are on the run. 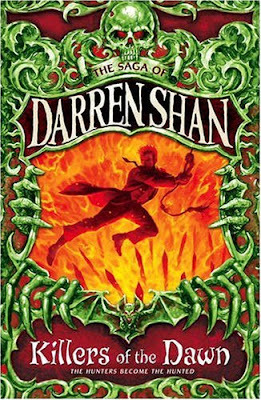 Pursued by the Vampaneze, vigilante mobs and the police, Darren Shan, the Vampire Prince, is public enemy number one! With their enemies baying for blood, the vampires prepare for deadly confrontation. Is this the end for Darren and his allies? Review: This is the ninth book in the Cirque Du Freak series. I bought all twelve of the books in the Cirque Du Freak series at a local second hand shop. These books cost 99p and come on a buy one get one free offer. This was an epic read and leads perfectly on from the book before. I have really enjoyed this book set up to now and i'm sure that the rest of the books will be just as good. I would highly recommend this book box-set to anyone with an interest in Young Adult and Paranormal books. In the near future I plan to buy these books brand new so that I can donate the used copies to a second hand book store for someone else to experience the wonders of Darren Shan.